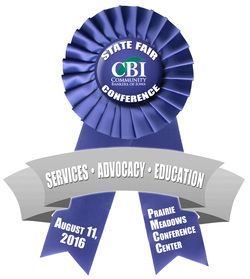 Community Bankers of Iowa's State Fair Conference provides a forum for Iowa’s independent, community bankers to discuss with legislators how policy changes and regulations are impacting their businesses. 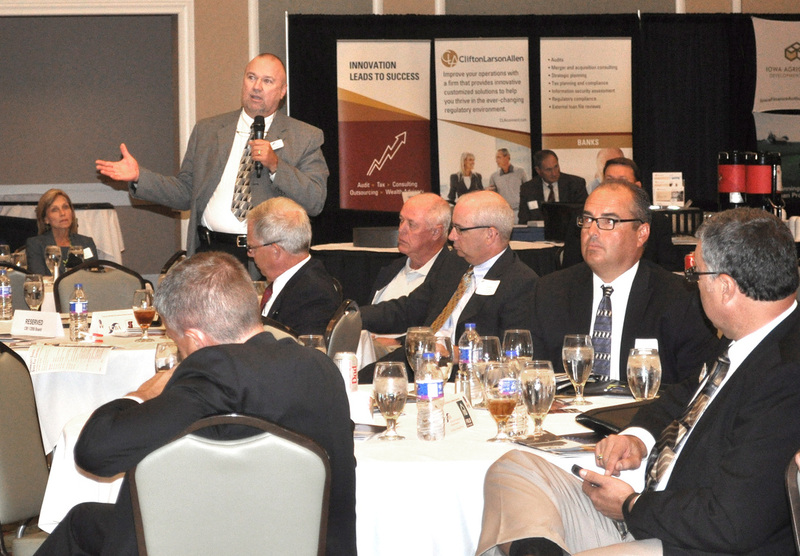 Panel discussions from Iowa’s legislative leadership and congressional delegation allow community bankers to ask Iowa’s leaders about their views on pending legislation, how recent laws are being implemented, and regulations. 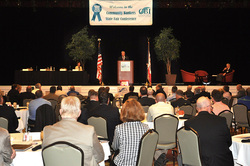 The Conference is held on the Election Year cycle. If you have any questions or are interested in Sponsorship Opportunities at CBI's State Fair Conference, please contact Jackie Haley at 515.453.1495 or via email at jhaley@cbiaonline.org. 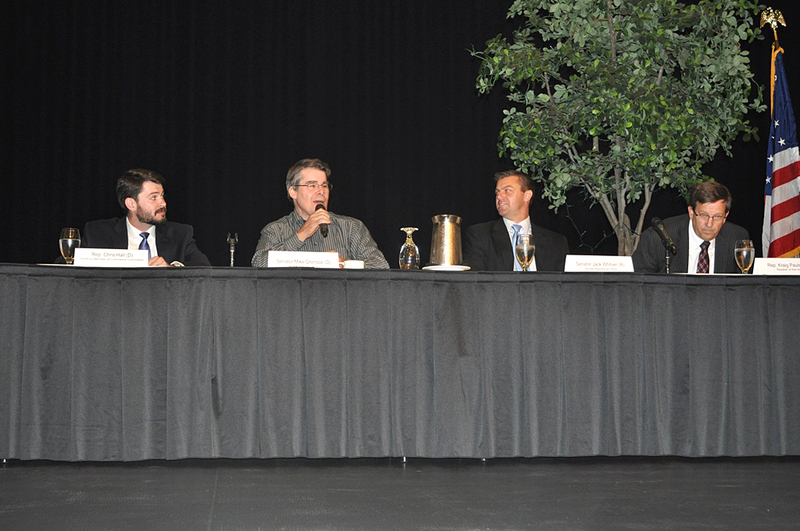 With the inclusion of candidates as well as the incumbents at the 3rd State Fair Conference in August 2014, all four federal congressional districts were represented. 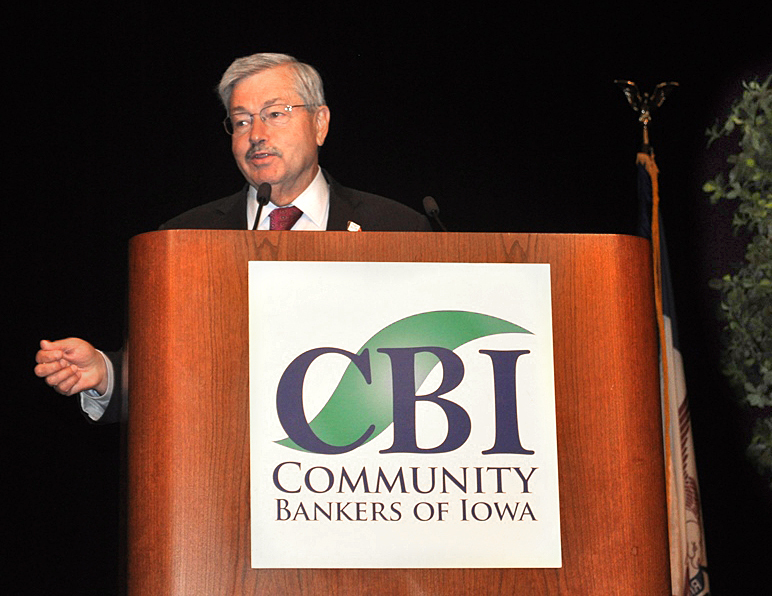 The event keynote address was delivered by Governor Branstad and Lieutenant Governor Reynolds, who outlined their efforts so far in promoting rural, small business and economic development in Iowa. 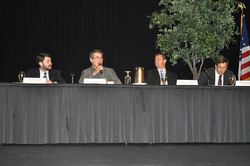 The Iowa leadership panel included Iowa Senate Republican Whip Jack Whitver (R-District 19), Speaker of the Iowa House Kraig Paulsen (R-District 35), Iowa Senate Majority Leader Michael Gronstal (D-District 8) and Iowa House Ranking Member on Commerce Committee Chris Hall (D-District 13). The federal congressional Democrat panel included Congressman David Loebsack (District 2), and candidates Pat Murphy (running for District 1), Staci Appel (running for District 3) and Jim Mowrer (running for District 4). Sitting on the federal Republican panel were Congressman Steve King (District 4) and candidates Rod Blum (running for District 1), Mariannette Miller-Meeks (running for District 2) and David Young (running for District 3). 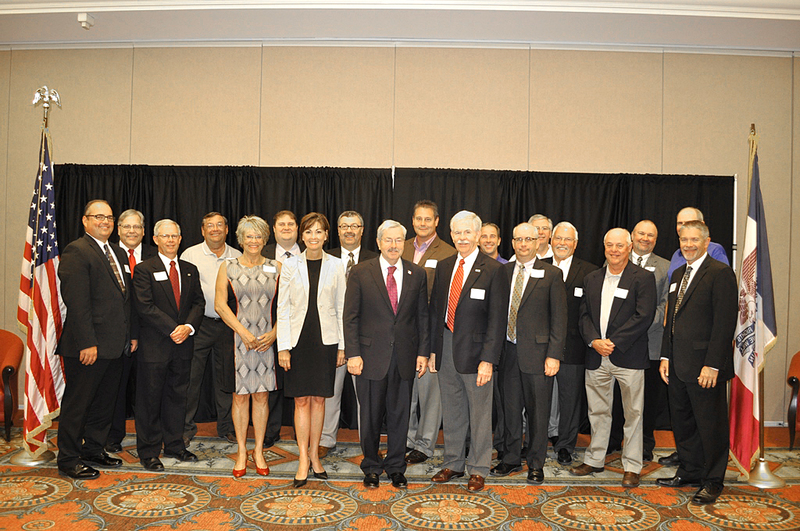 Keynote Speakers Governor Branstad and Lieutenant Governor Reynolds recapped their efforts made so far in promoting rural economic development in Iowa. 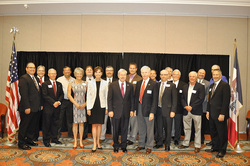 Community Bankers of Iowa Board Members pose with Governor Branstad and Lieutenant Governor Reynolds at the 3rd State Fair Conference. 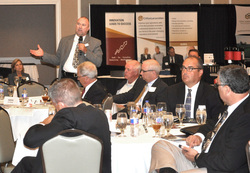 Community bankers from around the state listened as Iowa's political leadership provided their insights. Left to Right: IA House Ranking Member on Commerce Committee Chris Hall, IA Senate Majority Leader Mike Gronstal, IA Senate Republican Whip Jack Whitver, IA Speaker of the House Kraig Paulsen. Members of the Democrat federal congressional panel discuss issues raised by community bankers in Iowa. 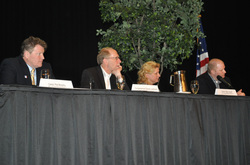 Left to Right: Pat Murphy, Congressman David Loebsack, Staci Appel, Jim Mowrer. 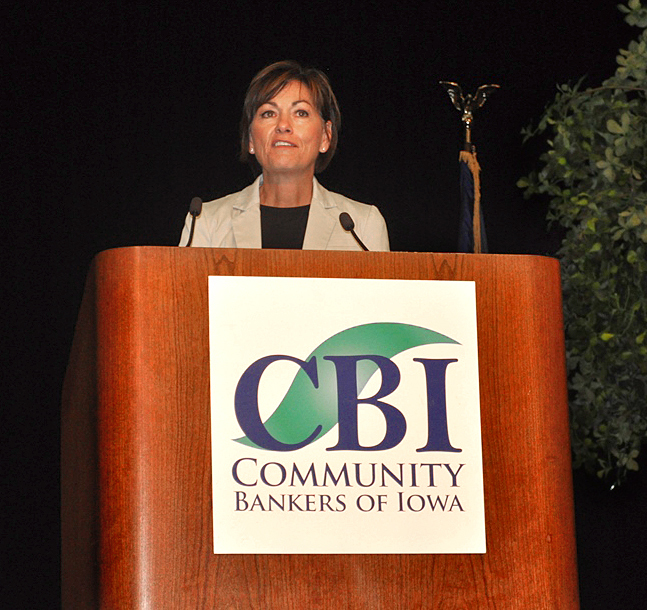 Community bankers asked Iowa's leaders about pending legislation and ongoing banking issues. 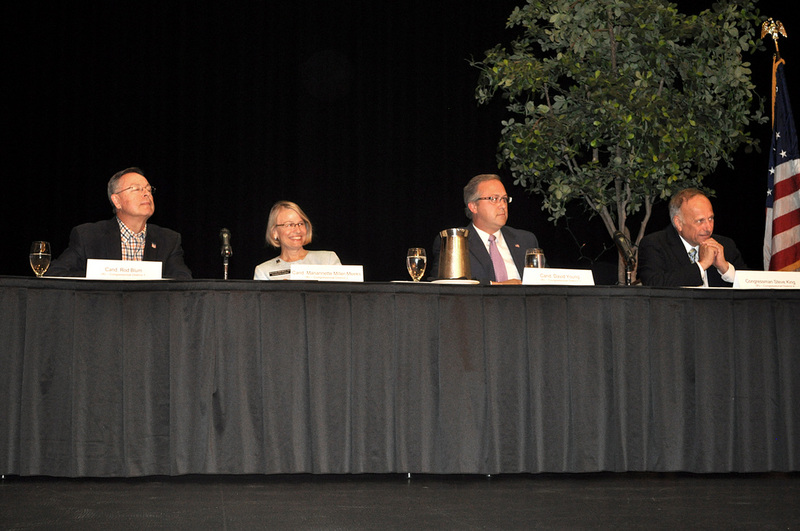 Members of the Republican federal congressional panel prepare to take questions from State Fair Conference attendees. 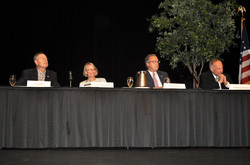 Left to right: Rod Blum, Mariannette Miller-Meeks, David Young, Congressman Steve King.